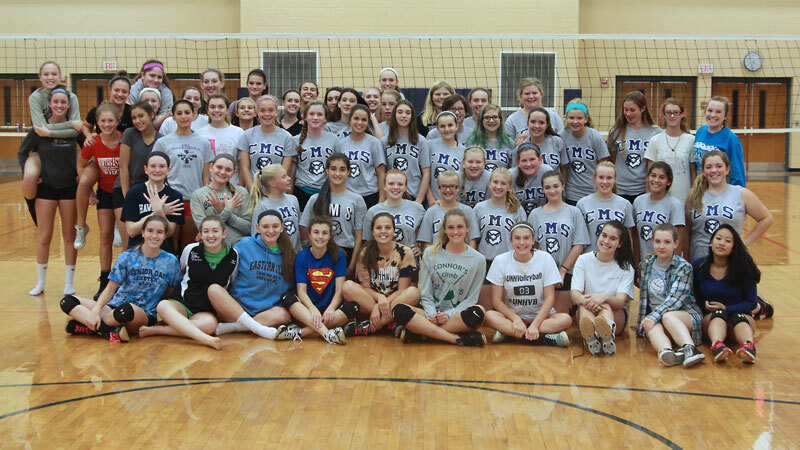 Wh at a great time with the CMS Gang in the annual Blue-White Match! Thanks to Coach Mathews for bringing the 8th grade team to EHS and for all his efforts with the program! Go Hawks! 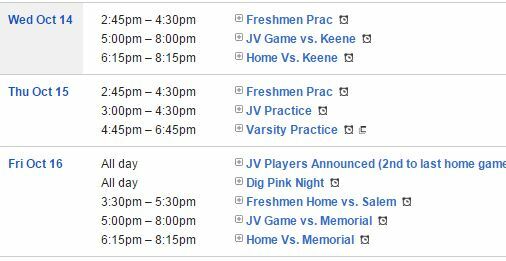 This week Varsity and JV have two matches at home (Keene on Wednesday, Memorial on Friday). Freshmen are home on Friday for their only match this week. Please come support this great cause. We will have baked goods for sale, along with Pink T-shirts and an incredible raffle with multiple chances to win great prizes. All donations and proceeds will be issued to the Susan G. Komen foundation. Please bring a friend and give generously! Thanks. 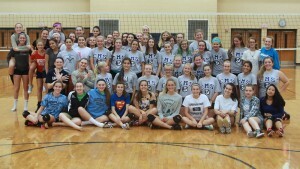 It is our tradition during this match to announce the entire JV team (home and visiting teams) before the game begins. Come Join us this week for great volleyball and a great cause!